Displacement. 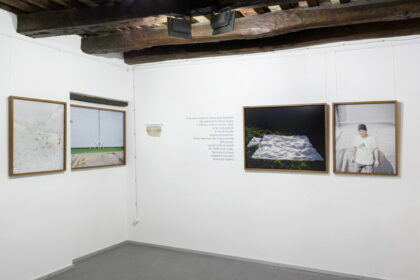 Non-places proliferate urban spaces, ‘relocating’ cities: empty spaces or places inhabited by an ambiguous permanence encapsulate the end of a form and its history. We lose the places in which we re-find ourselves. The work by Giovanni Cocco and Caterina Serra, exhibited at Spazio Maw from 3-15 November in collaboration with SulmonaCinema, is a journey of words and images that recounts a recent displacement. The first stage of a project on cities in Italy and Europe that are distorting the relationship between city centres and suburbs, altering the sense of individual and social lives, is devoted to L’Aquila, a city that is symbolic of the loss of order and the dispersion of communities. It is a story about imminence and mutation. 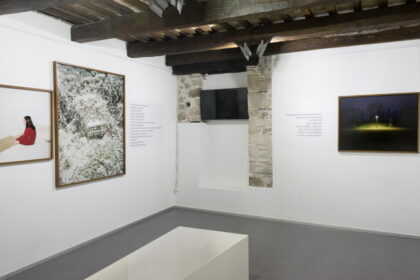 Real and strange, immersed in a frosty white that covers and nullifies bodies, movements and beings, Giovanni Cocco’s images – large format colour photographs taken on film – reflect the annihilation of the city, paralysed between a devastated past and the uncertain and empty present of the ‘New Towns’. 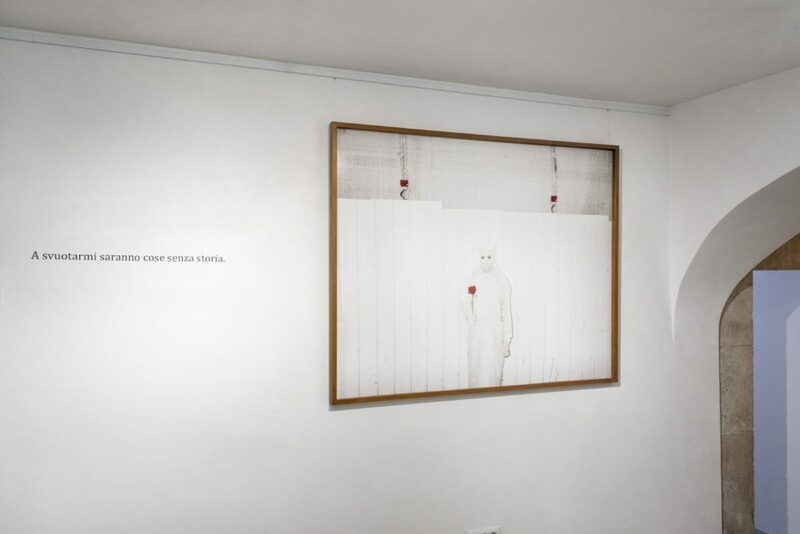 Alongside them, the voice of Caterina Serra, solitary yet conversational, adds a gaze to the visions: of a present so present that it disturbs, of an alienation that thwarts desires. 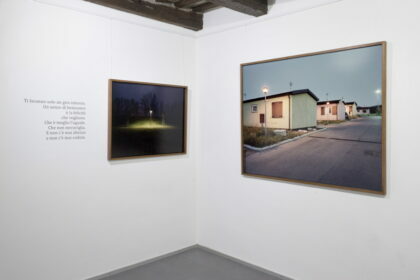 Exhibited for the first time at Macro in Rome during the International Festival of Photography in 2015, Displacement – New Town No Town arrives in Abruzzo in a year that is emblematic of the violence of its tragedies. If we must reject the obsessiveness of the past, perhaps we need to look at the present as an opportunity, in order to reclaim control of our lives.